Charles Postel, an associate professor of history at San Francisco State University, is the author of The Populist Vision (Oxford University Press, 2008). 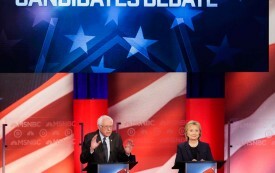 Who Is the Real Progressive: Hillary Clinton or Bernie Sanders? Four historians consider how the Democratic candidates fit within the history of the Progressive tradition.